DO YOU HAVE DENTAL PAIN, GUM PAIN, NERVE PAIN, TOOTHACHE, A BROKEN TOOTH, AND NEED AN EMERGENCY DENTIST IN PYRMONT, SYDNEY? At STAR dentistry Pyrmont we have experienced Emergency Dentists to get you out of pain. Our Sydney based dentists specialise in dental emergencies and pain relief and will always be gentle and understanding of your situation. If you are looking for an emergency dentist in Pyrmont of the surrounding Sydney suburbs, we are open 6 days a week with flexible late working hours until 8pm on weekdays, and can accomodate after hours call outs to any type of dental accident or emergency. Simply call us on (02) 9518 9803 to make a same day appointment. For those travelling to Pyrmont from the Sydney suburbs, parking is available on the roads outside & opposite the surgery, in the STAR casino, and all other roads around Pyrmont. For public transport, the Sydney Light Rail stops next door to us, and the Sydney Harbour ferry/bus stops for Pyrmont and Darling Harbour are only metres away. Are you unsure if you have a Dental Emergency? If your dental emergency happens late at night and we can't be reach by phone, please use our online booking service to make an appointment for first thing the following day. Temporary relief can be gained by using your normal pain killers such as Ibuprofen or Panadol. Our Emergency Dentist will do everything they can to accommodate you at our earliest availability. Dental emergency describes an issues with your teeth or surrounding structures that needs to be fixed as soon as possible. Pain is a signal that your have an emergency, although a dental emergency does not always coincide with pain. If you are in pain, try to write down the type, length and severity of the pain, as the dental professional treating you will find the information very useful. Emergencies can come from trauma, restorations, bacteria, fungal and viral infections and each symptoms requires an individual response. 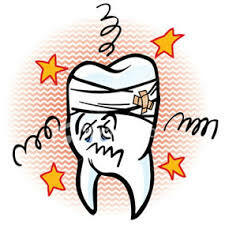 Anything that can impact on function and aesthetics ie) broken front tooth or lost restoration, although not painful, are classed as a dental emergency. Tooth pain often originates from the inside of the tooth where the nerves reside, the pulp, but can also come from the surrounding tissues. Pain from the surrounding tissues of the root. 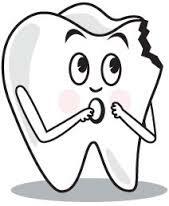 Once the tooth dies, the bacteria profliferation causes inflammation underneath the roots, followed by an abscess. This inflammation can cause severe constant pain. Pain from trauma to the nerves, cancers, or jaw-joints TMJ. Dental trauma describes an injury to the hard or soft tissues of the mouth. This includes teeth, gums, the periodontium, tongue, lips and cheeks and mucosa. Children have a high incidence of dental trauma, especially toddlers and children between 8– 12 years of age. 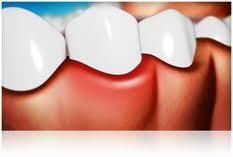 Only the outer layer of the tooth is affected, straight forward and the tooth can be restored. Visible loss of enamel and dentine, but the tooth is not painful and responds well to vitality testing. Tooth can be restored. Follow-up 6–8 weeks and 1 year. Severe break with loss of enamel and dentine with exposure of pulp. Less successful prognosis over time, may need RCT in future. Restore and review for loss of vitality and changes. Trauma to the tooth supporting structures with no displacement of tooth. Trauma leading to loosening and partial displacement of the tooth out of its socket. Trauma leading to movement of tooth in a lateral position – labially, lingually, distally or mesially. Trauma leading to displacement of tooth back into the alveolar bone/socket. This can cause fracture of the alveolar bone and is the most severe injury to the tooth and supporting tissues. Death of the tooth is common. Trauma leading to complete extraction of the tooth is completely displaced out of the socket. 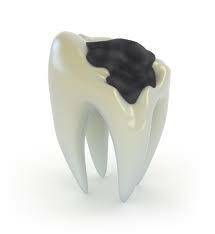 In some cases the tooth can be replanted. Excessive force that is stronger than the crown material can lead to a broken crown. Also if the tooth underneath it is weak, the whole crown may still be intact, but the neck of the tooth may have snapped and be still attached inside the crown. Please describe the situation in as much detail as possible for your dentist when you make a booking. Dropping a denture is the most common cause of breakage. If your denture is plastic, it can be repaired sometime on site, but most liely it will need to be sent off to a lab for full repair. This will mean that you will be without teeth for a day or so, so a backup denture is always handy to have. Implant crowns can come loose, or the screw that is holding them in can break. Also the bone around the implant can degrade leading to wobbly implants. Visit the dentist who placed the implant for more information and a plan on how to mange this condition before it gets worse. Fluid accumulating in tissues can occur throughout the body, or localised. Swelling can occur in the gums, palate, lips, buccal space, etc and can be from trauma, bacteria, periodontal problems, infection, abscess, cysts, allergic reaction (anaphylactic shock), salivary gland tumour, inflammation or obstruction of salivary gland. Cellulitis involving the tissue spaces on both sides of the floor of mouth is described as Ludwig’s angina. If you feel this is happening, go to your nearest hospital emergency room as soon as possible. Pericoronitis is very common around wisdom teeth, and is defined as inflammation of the soft tissues surrounding a partially erupted tooth. Keep the area as clean as possible with gentle brushing, CHX based mouthwashes and see your dentist. An inability to open the mouth, usually caused by an infection, pericoronitis. Trismus from wisdom tooth infection is common. Make an appointment to see your dentist as soon as possible. Dry sockets are unfortunate and can be very painful, but are a common complication after tooth extractions. Please contact your dentist for advice. Following extractions, especially those that were surgical, swelling is normal and will subside over time. If it is getting worse, and is affecting airway, swallowing or vision, please visit the local emergency room of your hospital. Ice and heat, as well as topical anesthetics can ease the pain. Those containing active ingredients such as benzocaine or choline salicylate may be applied directly to the gum. Regular analgesics such as pandaol and nurofen can help to ease pain.